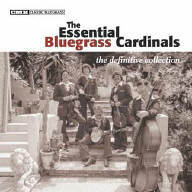 With their gorgeous harmonies and virtuoso playing, the Bluegrass Cardinals were one of the best-loved and most influential bands in bluegrass. Founded in the mid-seventies. 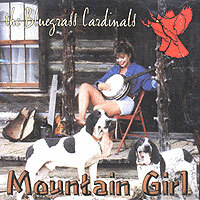 The Cardinals’ contemporary take on traditional bluegrass music sounds as vibrant and fresh today as it did when they burst on the scene, making fans of legends such as Lester Flatt. 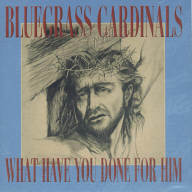 This generous song selection was hand picked by David Parmley and represents the Bluegrass Cardinals at the height of their career. 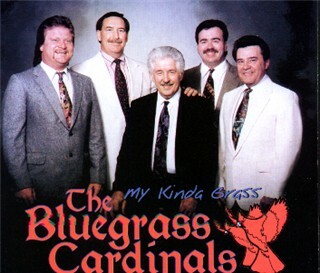 When they moved from the west coast to Virginia in the mid 1970's, The Bluegrass Cardinals took the east coast bluegrass scene by storm, and immediately established themselves nationally as a top name band. The Cardinals are well known for the perfect balance they achieve between solid tasteful picking (featuring Don Parmley on the banjo) and beautiful vocal harmonies, featuring the powerful voice of David Parmley With their gorgeous harmonies and virtuoso playing, the Bluegrass Cardinals were one of the best-loved and most influential bands in bluegrass. 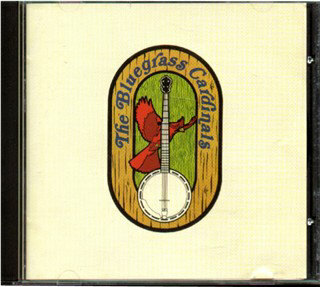 This is a treasure trove of bluegrass gems recorded between 1978 and 1981, with many songs presented on CD for the first time ever. 24 Songs! What Would I Do Without Your Son? Gather round for some of the prettiest Bluegrass Gospel Quartet harmonies ever recorded. 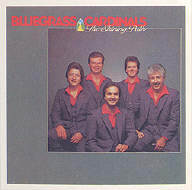 Lead by the father and son team of Don and David Parmley (now of Continental Divide), the Bluegrass Cardinals are legendary for their remarkable singing and harmonies. SUNDAY MORNIN’ SINGIN’, their now classic 1980 album, is one of the finest examples of their inspirational talents. 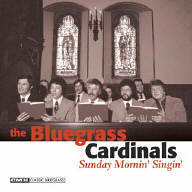 Presented on CD and digitally re-mastered for the first time ever, and featuring seven bonus gospel tracks, SUNDAY MORNIN’ SINGIN’ is a must-have for bluegrass and gospel collectors and fans.